When you’re hosting your first event and trying to keep costs down, hiring an event planner might seem like an unnecessary expense. But it’s not. Here are seven surprising reasons to hire an event planner…all of which I learned while planning my Guinness World Records™ record-breaking attempt event with Eventfull Planning…and one of the reasons is the opposite of what you’d expect. My event planner, Laura, from Eventfull Planning, takes meetings for me. Why? Because there are details I don’t have to be bothered with. She knows the ins and outs of my event. Because we had an intense strategy meeting right at the beginning of the planning process, Laura knew exactly what my needs were. That means she goes to meetings with the hotel and the videographer and the furniture guy and the A/V people and I can get more work done. I literally can’t count the hours having an event planner has saved me. This is the reason I think might be the opposite of what you’d expect. You’d think because you have to pay the event planner, you’re spending more money, right? Not so. Once your planner knows what your budget is (and how strict you are about sticking to it), s/he can work with vendors to save you money on all kinds of things. Laura knew which vendors would be willing to work with us on price and where we’d have some wiggle room. And because she has relationships with vendors already from her past events, it’s easier for her to ask them for things than it would’ve been for me. In the long run, an event planner can actually save you the money you spent hiring him/her, and then some. Left to my own devices, I’d probably have a fairly sparse event, sans decoration. I think in terms of technical and practical needs. But event planners know that part of what makes for a great event is that it looks and feels great. There are tons of details like this that I would never think of on my own. Things like, did you know that if you angle your audience chairs a certain way, it makes them feel more involved and engaged? This was just one of a hundred details I didn’t know and wouldn’t have thought of. But Laura did. This is actually something I learned a few years ago. Where you should host your event- what city and where in the city- depends on the kind of event you’re hosting and what your goals are in the event. Your event planner will help you choose a venue that can actually help you meet your goals for your event. This is something that can affect attendance, sales, and a whole bunch of other stuff. I’ve actually never had occasion to use a videographer in Indianapolis, so I had no idea who to hire to document this event in proper, Guinness World Records™ fashion. Whenever I’m doing something for my home, I check Angie’s List, which is a great service…but for several reasons, I never feel completely sure that I can rely on the reports in Angie’s List, so I still feel like I have to do a lot of research after I find a few companies with positive reviews. My event planner knew not just one great videographer, but several. And she also knew several A/V companies, so she could get several quotes for me to review. Because of the number of events she’s done with each of these companies, she knew the pros and cons of each and could help me make the best choices and stay on-budget. You know what I forgot about? I forgot that during my event, I’ll have to eat. With a 36-hour, non-stop event that requires monitoring, I can’t exactly run out for a quick bite somewhere. So one of the first things Laura did was send me menus from the hotel so I could pre-order my meals. Now that is something I never would have thought of. When you’re planning an event, doing everything yourself is a very, very big job. And it gets stressful. 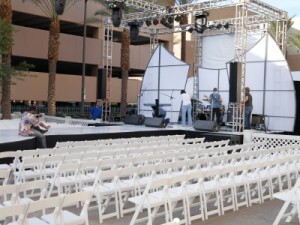 As soon as you hire an event planner, you can breathe. You can step back, regroup, focus on the things you know the most about, and get a lot of work done. Because someone else is handling the details of the event itself, you can be more productive on the things you do best. Plus, when the event happens, I know Laura and her team will be monitoring the event itself, taking care of witnesses and making sure the logistics are handled so that I can focus on making my guests feel welcome and comfortable and doing my own presentations. The truth is, I’m an extremely conservative person, financially-speaking, so hiring an event planner was a big decision for me. But as soon as I brought in Laura and Eventfull Planning, I knew I had made the right choice. And when the time comes for my next crazy, audacious idea, I know I’ll have a great team in my corner and I’ll be able to relax into a great event.